The front of Tamworth Railway Station has been brightened up with a stunning new mural created by local art students as part of a multi-agency regeneration project. Visitors will now be greeted in style by a colourful new ‘Welcome to Tamworth’ mural which adorns an 18ft by 6ft section of the front wall of the station, featuring iconic images associated with the town. The artwork has been created by South Staffordshire College Art and Design students and is funded by Tamworth Borough Council and Staffordshire County Council. The project was open to all Level 3 and Foundation Diploma students who attended a series of workshops; researching and developing designs for the high profile piece of work. The new mural is just one phase of a longer term regeneration project at the station involving a number of different agencies including Network Rail, London Midland/ West Midlands Railway, CrossCountry, Tamworth Borough Council, Staffordshire County Council, Tamworth Samaritans, Arts for Health and South Staffordshire and Shropshire Healthcare NHS Foundation Trust. The next phase of the regeneration will see a bus shelter outside the station being given an artistic makeover thanks to service users of the George Bryan Centre, working in partnership with Arts for Health, Andy Nash, Art Recruitment Tamworth and Tamworth Borough Council. Andy Nash has worked with adults who use the George Bryan Centre to create a range of artwork which has been transferred onto vinyl panels to be installed on the bus shelter this month. This latest transformation will add to the series of bus shelters around the town that have received bright new makeovers as part of Tamworth Borough Council’s Arts & Events team’s Catch Art initiative. 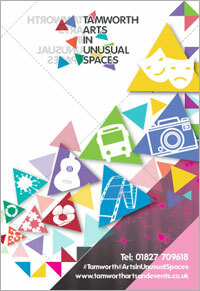 Funding for this latest round has been secured from the borough council’s Arts Grants scheme. Future projects are set to include waiting room artwork and new posters and signage around the station and its platforms. Richard Godwin of Network Rail said: “Network Rail support many community projects and this was an excellent opportunity to build on existing community partnerships to work together and look at ways to give some identity to the station and to brighten up its appearance. 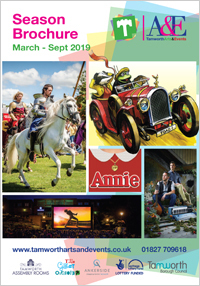 Cllr John Chesworth, Tamworth Borough Council’s Cabinet member for Culture and Operational Services, said: “This is a great example of partnership working and as an initiative it ticks many boxes in terms of our aims and priorities as a council. We are always looking for ways to attract more visitors to Tamworth and enhance the visitor experience. A lot of work has already taken place to improve the ‘gateway’ between the railway station and the town centre, including improvements to Victoria Road and the recent installation of our Aethelflaed statue which points people to the town centre, and this project ties in to that.